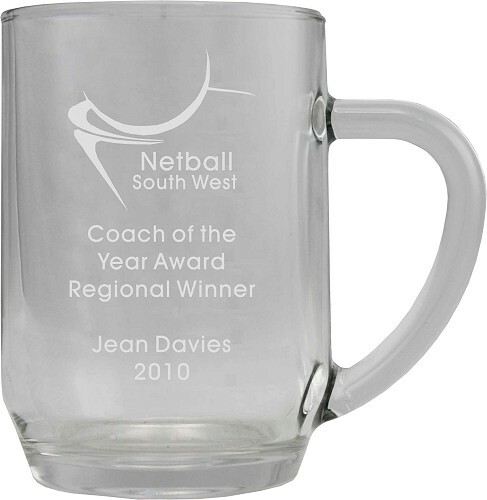 Premium 1 pint glass tankard, engraved with logo sports theme and or text, special occasions, birthdays, wedding and much more. Personalised engraved glass tankard. Price includes engraving. glass tankard, half pint available call for price. Please upload any images (GIF/JPG/PNG) you would like printed on this product.